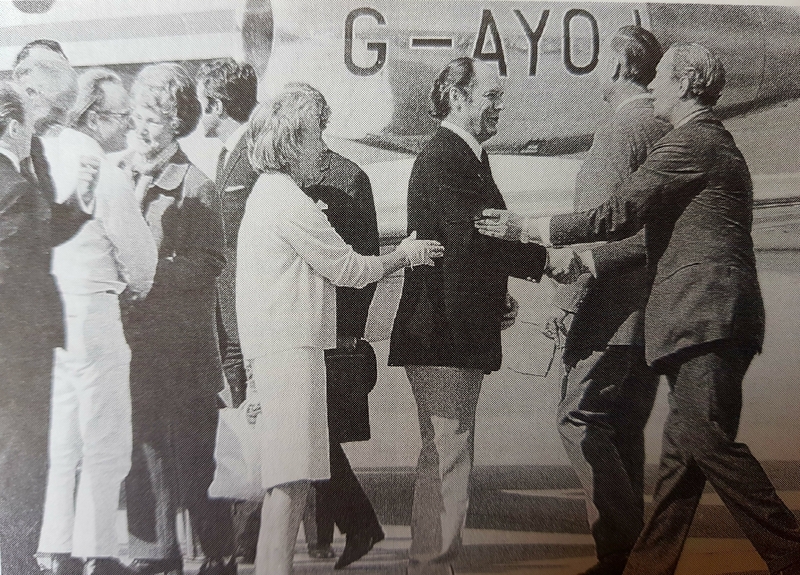 Geoffrey Jackson (1915-1987) was, in 1971, the British Ambassador to Uruguay. Having secured the post in 1969, he was kidnapped the following January by Tupamaros Guerillas. An urban group also known as MLN-T, its motto was ‘Words divide us; action unites us’ and they began their decade long tenure by robbing banks and businesses before dividing the takings amongst the poor of Montevideo. What started out as a political group took up arms in 1968 following the Uruguayan government’s crackdown on dissidents which included imprisonment and torture. Demonstrations were dealt with swiftly and aggressively, stoking the fire for an armed response and so the Tupamaros resorted to high-profile kidnappings. The newly appointed British Ambassador was one such case, and given their bloody campaign, the safety of Jackson was of grave concern. The previous year they had captured and murdered the CIA officer Dan Mitrione who had allegedly trained Uruguayan and CIA operatives on the use of torture from the basement of his home in Montevideo. This was followed by the kidnapping of Brazilian consul Aloysio Dias Gomide who was eventually released for $250,000. For eight months, Jackson was held captive, snatched in broad daylight as he drove to work and kept in what the group described as ‘the People’s Prison’. The Tupamaros allowed the ambassador only one message to his wife. Later they released a photo of a white-bearded Jackson who was imprisoned in a small, windowless cell with a mud floor. No ransom was never publically asked for but Edward Heath, the then British Prime Minister, was said to have intervened and paid a sum of £42,000 and coincidentally, earlier in the same week there was a mass breakout of 106 Tupamaros guerrillas from prison in Montevideo. Suggestions this had been ‘arranged’ were strenuously denied by officials but something clearly gave way. As for Jackson, he was found blindfolded outside a church in a suburb of Montevideo. Returning to England that year he was given a knighthood and went on to write four books including two about kidnapping and the People’s Prison. His composition following his release was typically old school British; short on detail and self-pity, he told reporters he was well and placed his trust in his Roman Catholic faith. He was awarded £15,000 compensation for his ordeal.